All aboard! Get your passport to inclusivity ready for a day of fun frolicking, stage performances and an exciting lucky draw all at the Metta ‘Airhub’! Start the morning with a calorie-burning 3km family walk around the Simei estate. Shop till you drop in the bazaar while kids get their fill of bouncy castles, games and carnival snacks like pizza, nasi briyani, churros and more! 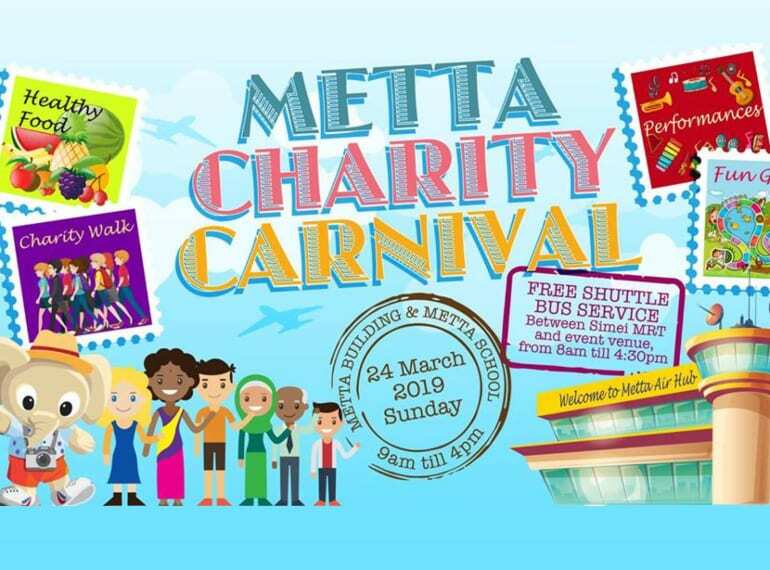 Proceeds will go to supporting the development and enrichment of disability care, medical care, special education and early intervention programmes that Metta Welfare Association provides. Have your passport to inclusivity ready at this melting pot of games, delicious food and fun for the whole fam!